Romania’s electricity mix is one of the most balanced in the European Union, with coal, hydropower, natural gas, nuclear energy and wind power having comparable shares of capacity and power generation. With the exception of wind and solar, almost all units are fairly old. As of 2018, units over 50 MW have an average age of 39 years: 40 years for coal, 47 years for gas (some previously ran on coal), 31 years for hydropower and 18.5 years for nuclear. Although there is an official installed capacity of 22 GW, the average capacity used to deliver to the system is around 7 GW. 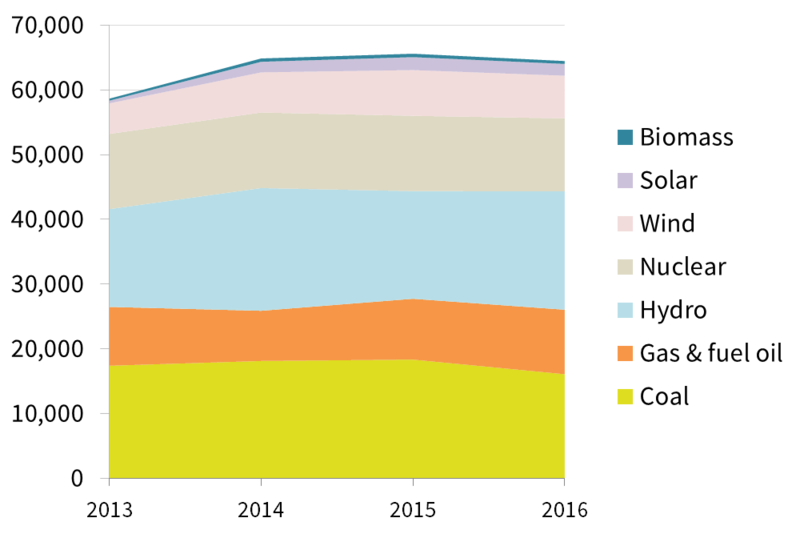 All nuclear and hydropower, 98% of coal and 73% of natural gas units are state-owned through the Energy Ministry. Decisions to retire or even build new conventional units are therefore primarily in the hands of the Energy Ministry. The most important planned units are 400 MW on natural gas, 1000 MW hydropower, 1400 MW nuclear and 600 MW coal. By promoting these projects, the Energy Ministry limits the space in the energy system for new clean units and risks investing in infrastructure that will be uneconomic to operate, especially given the current overcapacity laying idle. Despite the government’s instability, the ruling coalition in Romania has a stronger than ever pro-coal stance. Officially, 28 units are operating in the 10 functioning coal power plants in Romania, having an installed gross capacity of 5915 MW. 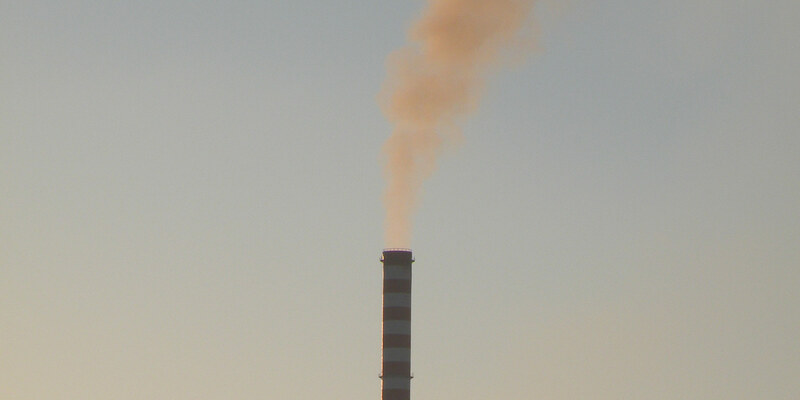 None of the coal power plants are fully compliant with the Industrial Emissions Directive (two power plants benefited from a derogation for NOx emissions under the Accession Treaty, which expired on January 1st 2018), some are operating without an environmental (IPPC) permit and some of the hard coal units have emissions 10-15 times more than the allowed threshold for SOx. There are also plans for a new 600 MW unit at Rovinari, being pursued more actively by Chinese government officials than by the Romanian authorities. 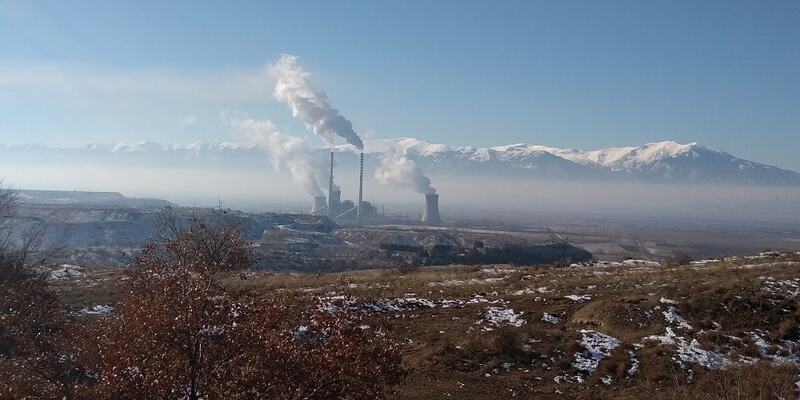 There are two main coal companies, managing both power plants and mines: Oltenia Energy Complex manages 4 plants and 10 mines, all lignite-based, and it normally delivers 80% of the country’s coal-based electricity. The main hard coal processing company, located in the neighbouring county, is Hunedoara Energy Complex. 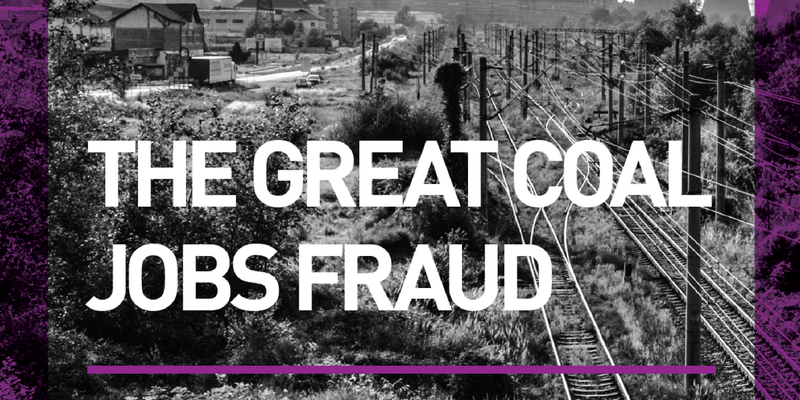 Both companies are over-staffed, involved in corruption cases, and their finances depend on the success of other companies. 2017 was a bad year for hydropower and wind energy, therefore Oltenia Energy Complex made a hefty profit, while Hunedoara Energy Complex decreased its losses. In 2015 coal was responsible for over 1,000 premature deaths, caused by exposure to coal power plants’ emissions of SO2, NOx and dust. More than half were estimated to be because of CEO alone. Beyond Coal Europe estimates that coal pollution in Romania was responsible for 520 cases of chronic bronchitis, 800 hospital admissions, 26,000 cases of asthma attacks in children, and 267,000 lost working days, amounting to an estimated EUR 2 billion burden to the economy. In May 2018, Romania was taken to the Court of Justice of the European Union for repeated failures to tackle air pollution and risks having to pay hefty fines, in addition to the price paid already by the population through damage to their health. Electricity production from wind sources has experienced rapid growth in Romania, due to the high wind potential and supporting policies for renewable energy production. Romania’s potential in wind energy is considered to be the highest in South Eastern Europe, estimated at around 14 000 MW, able to generate around 23 TWh per year. Between 2008 and 2013, the main investments were made in wind turbines, which in 2015 had an installed power of 3129 MW, and in photovoltaic panels which have an installed capacity of 1312 MW. 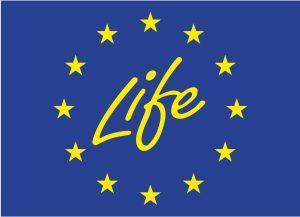 In 2016, wind energy represented 12.5% of total final consumption of electricity, compared to the European Union’s average of 10.4%. The development of electricity production from renewable sources received a heavy blow in 2013 though due to a change in the subsidy scheme which reduced the awarded number of green certificates. This reform triggered a quick response by market actors which slowed the trend for new installed units. Following the positive development of the wind sector, investors started showing interest in the field of solar energy production, which is also virtually inexhaustible in the medium and long term. According to the National Energy Strategy, Romania’s solar potential can generate 1.2 TWh of electricity per year, meaning 2.5% of current national consumption, which is a very conservative estimate, compared to other analyses of potential. The fact that the energy intensity of Romania’s economy is twice the European average is an indicator that there is plenty of room for improvement. Buildings account for the largest share of energy use in Romania. Together, the household sector and the tertiary sector (i.e. 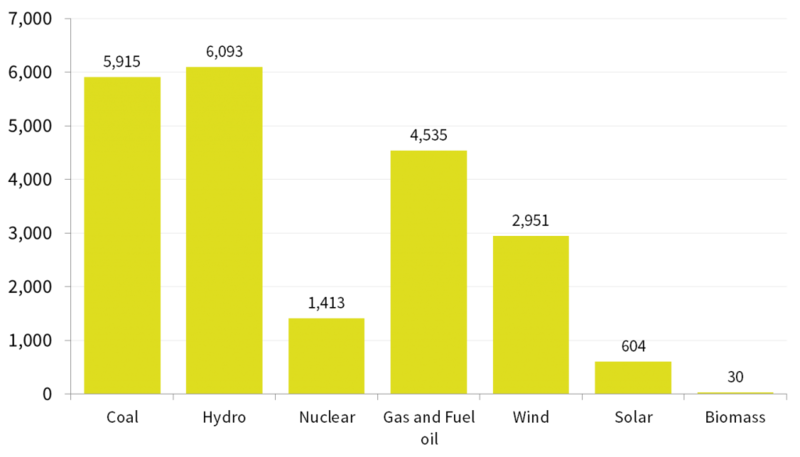 offices, retail premises and other non-residential buildings) account for 46% of total national energy consumption. Most savings in the industrial sector so far have come not from modernisations, but from closures of industrial capacities and according to the latest report, Romania is expected to meet its 2020 energy efficiency target due to a mixture of the economy’s restructuring, the impacts of global recession and policy. Rovinari, 600 MW lignite planned power plant. 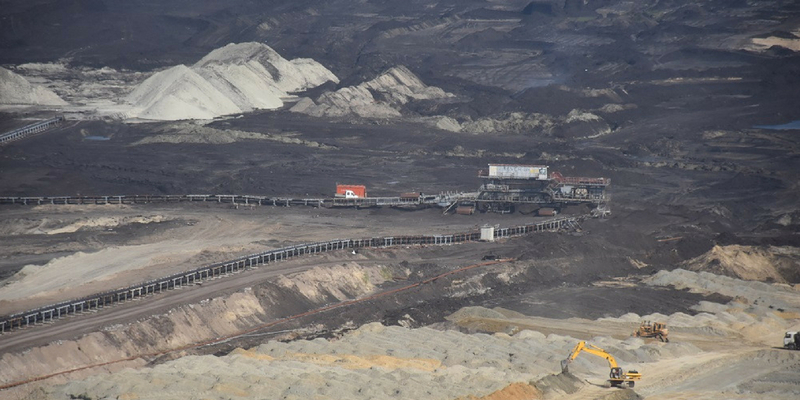 China Huadian Engineering Co. Ltd (CHEC) was selected in 2012 to build a new brownfield unit at the Rovinari Power Plant, part of the Oltenia Energy Complex (OEC) and its most profitable plant because it receives coal on transport belts directly from the surrounding mines. The project implementation company was established in 2015, with CHEC providing at least 30% of the capital (cash), 9% coming from OEC (buildings) and the rest to be covered through a loan from a Chinese bank. The (undisclosed) feasibility study anticipated a cost of EUR 847m, a lifetime of 30 years and the unit beginning operation in 2019, while the business plan mentions that the electricity will be exported to Serbia, Montenegro, Macedonia, Hungary, Greece, Albania and Turkey. Since then, there were a few other meetings between representatives of the two Governments and OEC, but no concrete steps have been taken.